With only 9 days to go until Christmas we are in super crunch time! Today we sold 49 pens, that was one every 10 minutes! We were very busy and I am starting to run out of certain pens. I will go back to the warehouse on Monday night and make some more pens to take back with me for the last 7 days. So far, we have sold over 125 pens more this year than we did last year at this time. 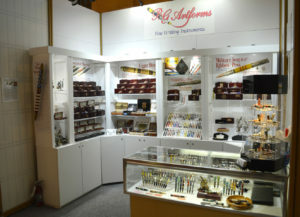 Top selling pens are still the Kallenshaan inlay pens, watch pieces pens, snake skin and antler pens and my cigar pens! Sold out of all the Faux Cigar pens – they sold fast! Well it is off to sleep another long day tomorrow!